In the early 2000’s the UW – Madison campus was experiencing its biggest construction boom since the 1960s. 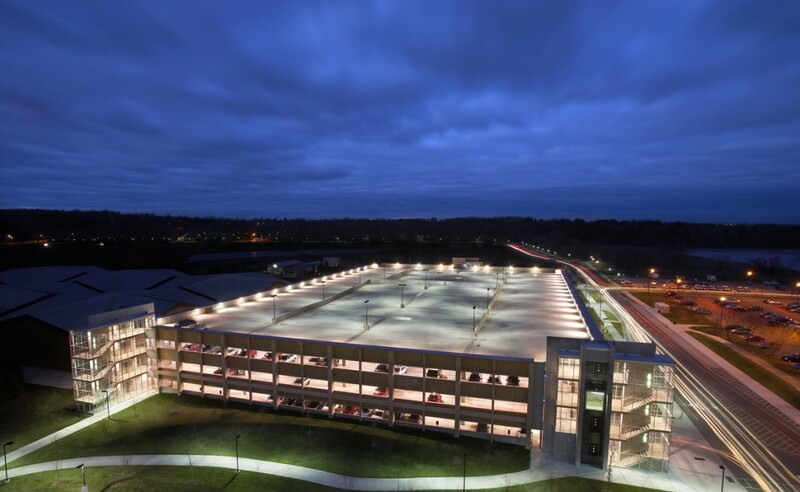 Their 20-year Master Plan “created a campus that to feel more human, more inviting, and more steeped in tradition, even as growth continued.” This plan encouraged UW-Madison to think smarter about parking. 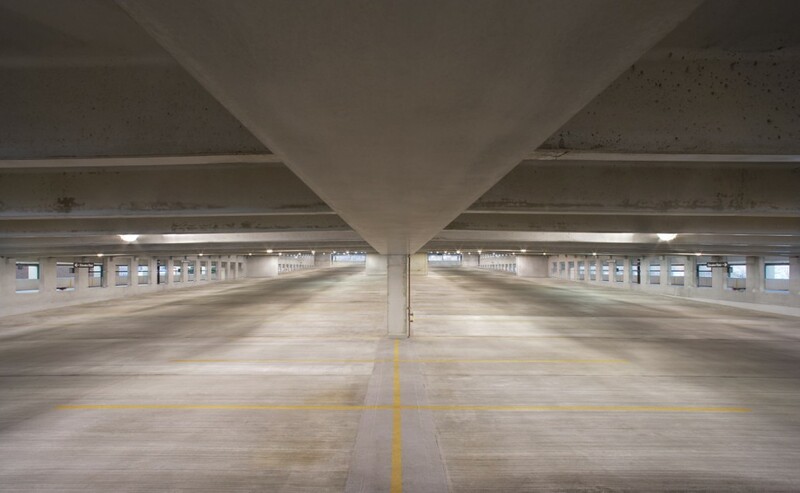 By using previously occupied space to build buildings and provide more green space, the need for parking on campus grew, which ultimately lead to the Lot 76 Ramp. The campus wanted a modest ramp that architecturally blended into the neighborhood and replaced parking lost due to new construction. The ramp was completed under budget and on schedule! 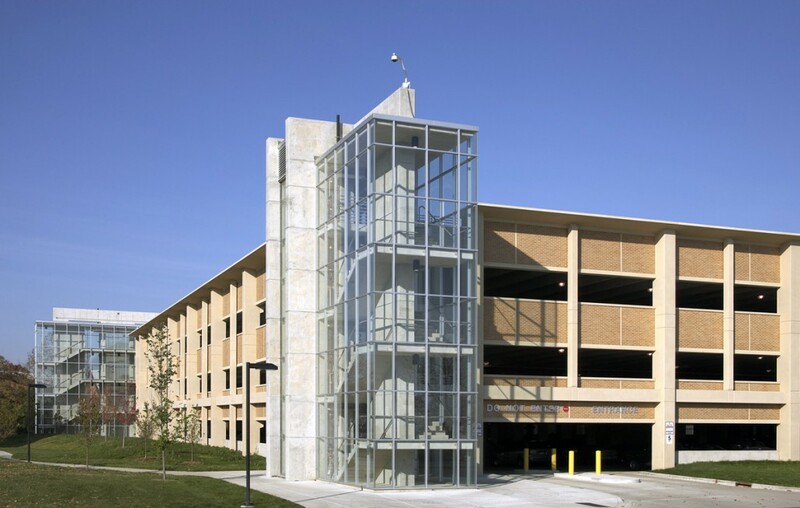 The 1,285-space Lot 76 Parking Ramp is associated with the UW Hospital and other campus buildings, and is used 24 hours a day, 7 days a week. Security was addressed through an open design incorporating glass and extensive lighting. 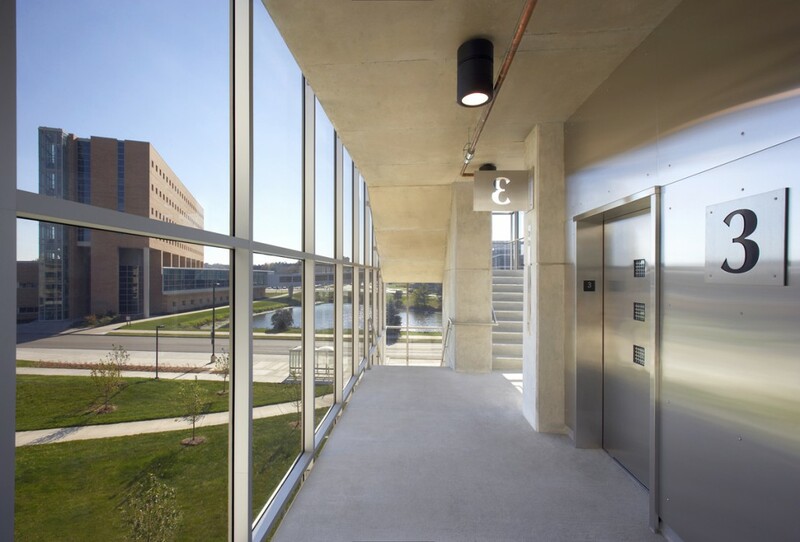 The well lit, glass-encased stairwells offer security and safety, providing a view of all surrounding areas.